The DC Gallery collection presents reproductions of some of the most iconic props, costumes and art from across the DC Universe. For the latest release, the team has launched a collection of Batman cowls, each representing a beloved rendition of the Dark Knight's headgear from comics, film and games. The latest cowl of the series is from the beloved Batman: Arkham Asylum video game from the award-winning and critically acclaimed Rocksteady Studios. 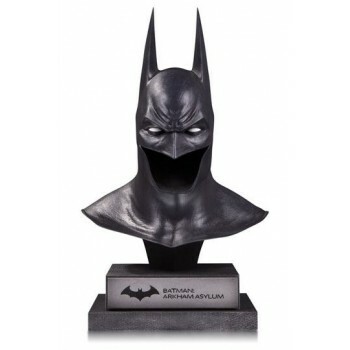 Standing 11.29" tall, this 1:2 scale bust-style polyresin statue makes for an imposing addition to a home or office, ideal for fans of the virtual Dark Knight. Limited to 5,000 pieces.